Can’t play duck, duck, goose here. I’m short on geese ha! Well her ducklings hatched today. She hasn’t brought them outta the nest yet. If you look very closely in front of her there you can see 2 ducklings. There’s more under her. She’s keeping them well protected and warm. Today of all days was a tad chilly. 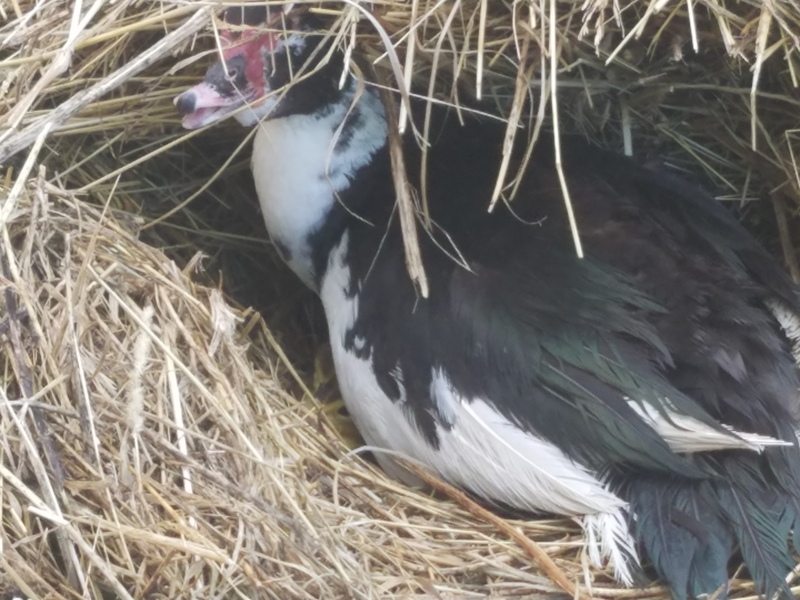 Then my other nesting duck that nested in the weeds. Had gotten off her nest to eat and drink. 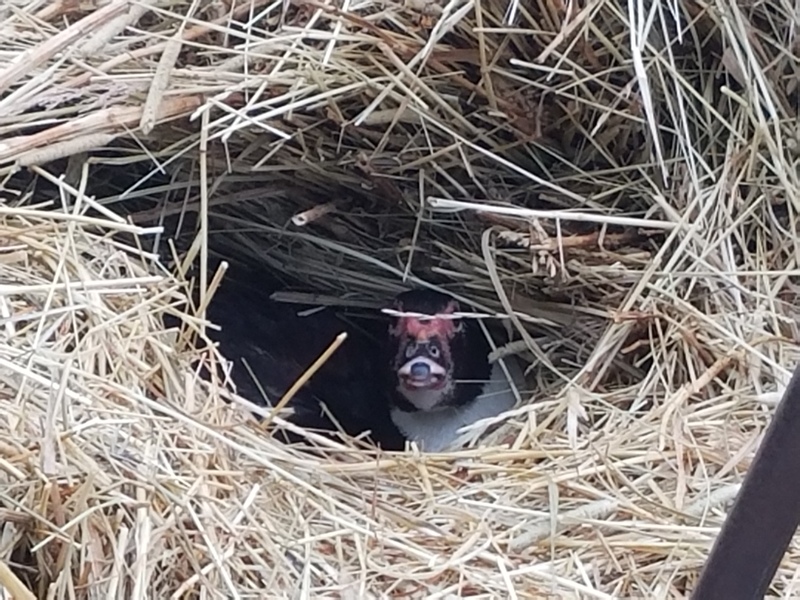 So I snagged a picture of her nest. 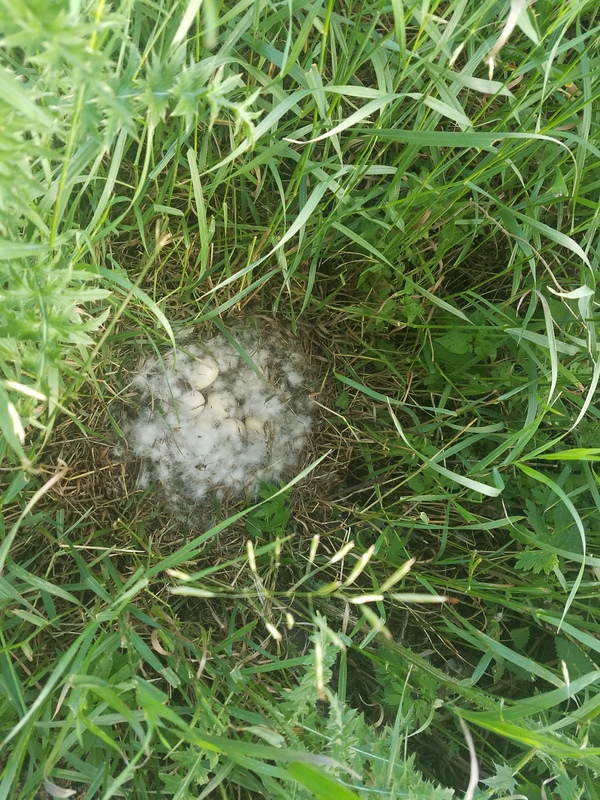 Looks like 9 eggs. Then I have a new duck laying in the cow barn no pictures to show of that nest yet. But she’s been sitting on it for 6 days now. Takes about 35 days or so for the eggs to hatch. I’ll be curious to see how many days exactly. Here’s the 3 mommas from the first round of hatching. And the last 4 of their babies. I swear they all 3 give me such dirty looks now. Can’t blame them i did take their babies. Those 4 ducklings have it made 3 moms tending to them. I haven’t decided if I’ll sell those 4 ducklings yet or not. If not now maybe later as adults. So then I’ll know the sexes. Many people are looking for hens vs drakes. But hopefully I’ll have more pictures tomorrow of the newest hatching of ducklings….. Previous Previous post: Little pigs. 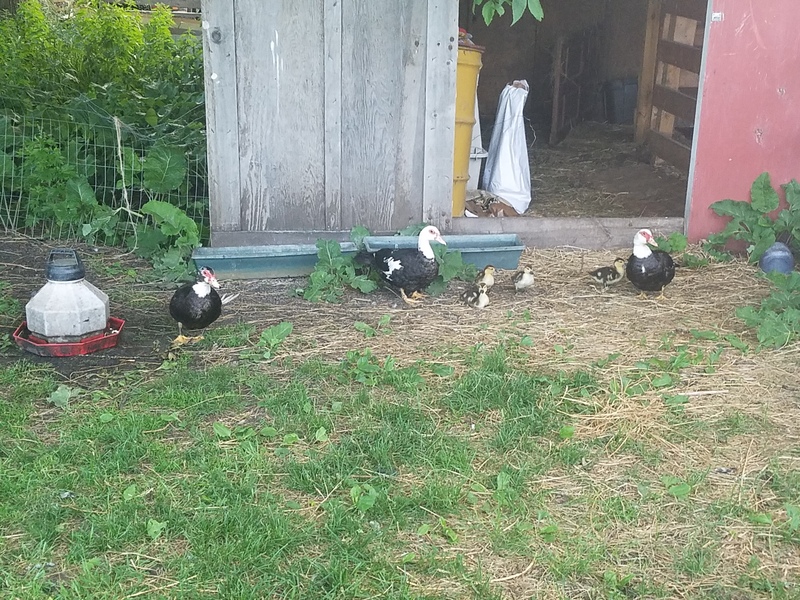 Next Next post: Hay bale duck and her ducklings.